At Pink Truth, we know that 99% of all participants in multi-level marketing lose money. Nonetheless, recruiters for Mary Kay and other MLMs tell recruits that they can make money just selling the product! They will tell you this while knowing that they have lost money, with hundreds or thousands of dollars of inventory sitting in their basements or garages. But the story sounds good! Buy a product for $1 and sell it for $2! You have doubled your money! Here’s the dirty truth: Sales of multi-level marketing products to actual customers are very low. This is primarily because the products are overpriced in order to pay many levels of commissions. While Mary Kay’s products might work just fine, they are comparable to brands found at Walgreen’s or Target, and they generally cost more than those brands. How do I know that relatively little of the products purchased by Mary Kay consultants are ever sold to real customers? First, I have my own personal experience. I was an active Mary Kay consultant for about 18 months, working very diligently to develop a customer base. My goal was to hold 3 to 4 skin care classes a week, and I worked the way I was instructed…. calling leads, warm chatting, trying to book follow-up appointments, etc… but found it was incredibly difficult to book those classes and then ensure that the classes were held. After that, I spent another year or two trying to unload the inventory I had. I found that the claims about women spending $100 or $150 on average at a class were lies. I found that the claims about the amount women will spend each year on reorders were lies. The products were difficult to move, and I was constantly discounting, giving hostess gifts, and offering other incentives to get people to buy. I was consistently the top seller in our unit, yet I could never achieve the sales I was told were “average” before I signed up and bought my inventory package. I watched my recruits and fellow unit members, and found that they weren’t having success with moving much product either. We also have the stories of thousands of consultants who have visited this site and discussed their experiences. These stories make it clear that selling Mary Kay products is very difficult, and almost impossible to do consistently. The vast majority of women who are on the Court of Sales at Seminar (ordering $40,000 retail value / $20,000 wholesale value of products per year) do NOT sell all of those products. Much of it goes unsold as stockpiles of inventory in consultants’ homes grow. But maybe we’re all just lazy losers and that’s why we’re a part of Pink Truth? Maybe everyone else is sooooooo successful and that’s why they’re not lending their stories to us? No, I’ve ruled that out as a possibility. Each week we have a few Mary Kay consultants who visit Pink Truth to bash us and tell us how much money they’re making selling the products. But any time we ask for proof of their income claims, they inevitably run away, screaming how mean we are. 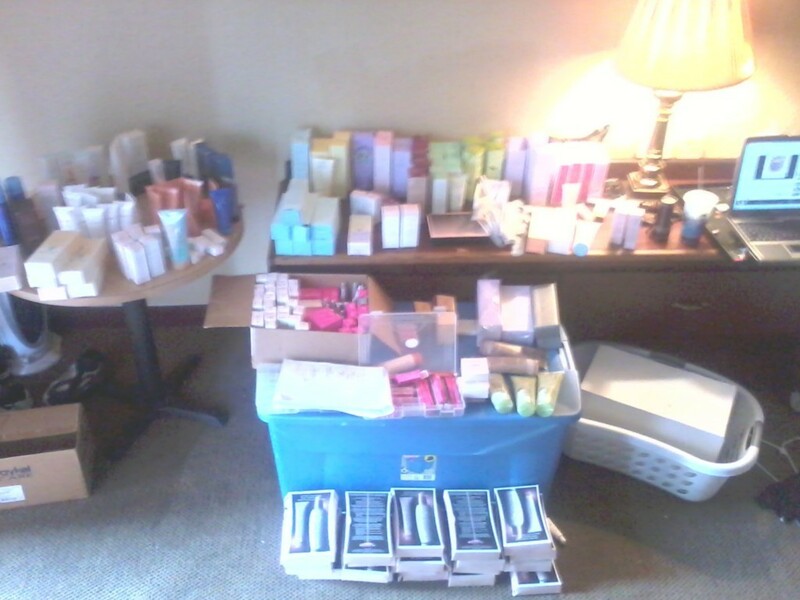 In addition, social media sites like Facebook and Twitter are overrun with Mary Kay consultants peddling their products. Almost all are offering some sort of incentive or discount to attract customers (with little success, of course) and there are plenty of stories and pleas for help on these sites from frustrated consultants who can’t find customers or sell the products. This is in addition to the “lifestyle” posts which suggest that MK is the reason behind certain material goods or opportunities. Is there a market for Mary Kay products? Yes. There are consultants and sales directors who sell the products. But the vast majority cannot sell enough products to turn a profit (much less support themselves), and women are left with inventory they can’t sell and debt they can’t pay off. This, my friends, is the reality of multi-level marketing. I posted an add on a local version of Craigslist, but said I’d charge sales tax on the retail amount, and add a $1 shipping fee. I didn’t want to lose money ordering make-up for strangers. One lady was quite upset about the extra fees and said she would find someone else to sell it to her at 50% off without paying extra sales tax and shipping. At the time, I didn’t realize there was so much competition of women willing to lose money by selling MK at 50% off. You’ve summed up Mary Kay nicely. So, dear readers, when you see social-media photos of smiling MK “winners” and “superstars”, realize most are making little to no money. But they do like the high they get from hand-me-down prizes, bright lights and a stage walk, and applause from strangers. I thought that if I gave friends and family 50% off discounts, they’d definitely order more product, and order things like skin care sets, so I’d easily reach my $225 wholesale requirements. That was not so! I got lots of small orders per person: one eyeliner here, 1 lipstick and 1 eye make- up remover there, etc., so I was doing lots of deliveries for these tiny orders. If I can’t even sell much of it at 50% off, how on earth can people expect to make an income selling it at full retail?! – Except that consultants are the real customers and “wholesale” is really retail. Consultants reselling MLM products is essentially double retail. Glad you didn’t do that to your friends and family. – That’s why MLMing companies target fake business owners. By dubbing them that, these people are inclined to place bigger orders. All talk from the consultant perspective is an illusion to trick the mark aka consultant/IBO into being a customer for the company. The company that uses MLMing couldn’t survive on dribs and drabs from authentic customers. Good companies with worthy products don’t need to use the MLMing business method. – They don’t. That’s why recruiting is the goal.